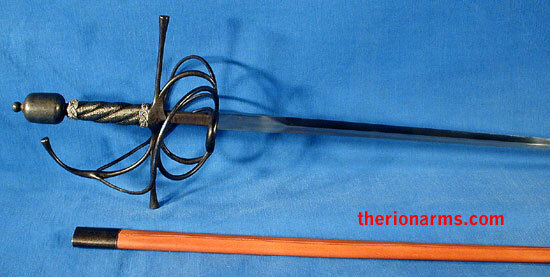 leather covered ricasso: 2 1/2"
guard: 8" x 8 1/2"
Based on models of 17th century swept-hilt rapiers of Italian ancestry and combining the better features of several pieces, the Paul Chen / Hanwei Torino antiqued rapier with matching main gauche is sure to become the standard by which all reproduction rapiers are measured. 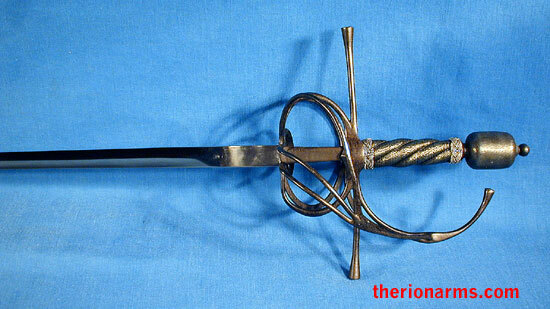 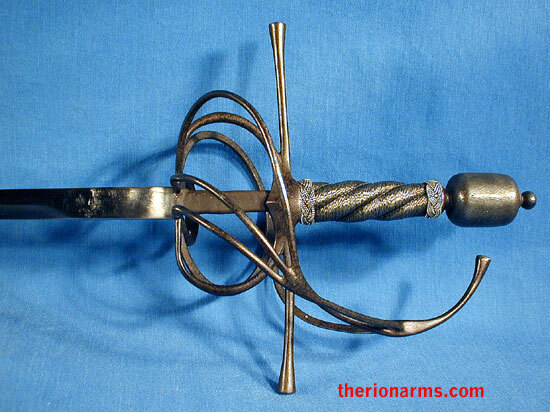 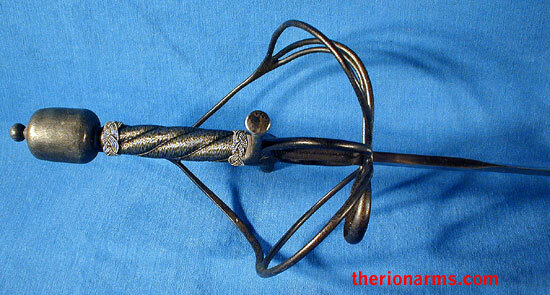 The blades are made of forged high-carbon steel and are equipped with black leather scabbards. 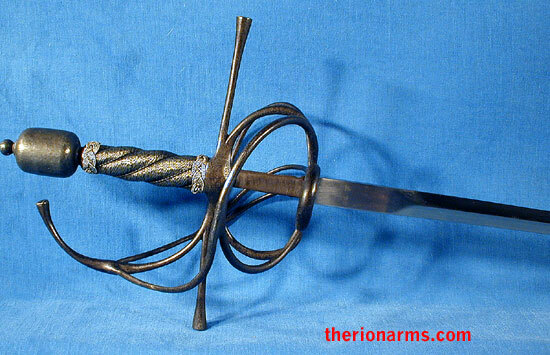 The guard has an ornate design with straight quillons to protect the hand and for wrapping the fingers around to increase functionality and one’s grip strength. 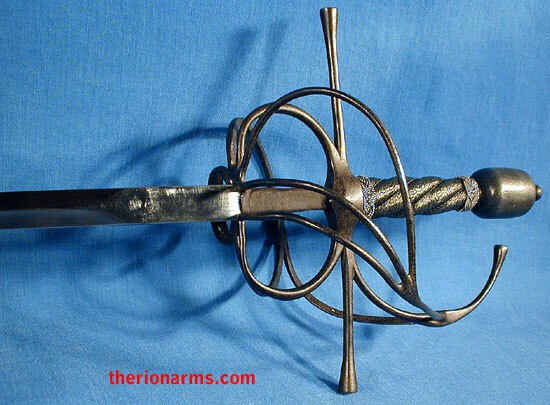 The fittings have been blackened and antiqued, for rapier players who prefer weapons that appear old, but are still completely useable. 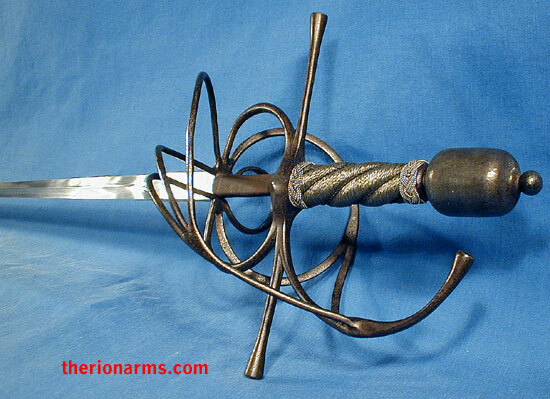 Also available is a separate blunt/rebated rapier blade that fits in this hilt and gives you a full sharp-or-blunt training weapons system.